Ipswich punches well above its weight when it comes to the arts and culture, writes David Ellesmere, Labour Leader of Ipswich Borough Council. It is a fantastic coup for the New Wolsey Theatre to secure the services of Sir Trevor Nunn to direct A Midsummer Night’s Dream this summer. This is a fitting way to celebrate the fifteenth anniversary of the New Wolsey rising phoenix-like from the ashes and the four-hundredth anniversary of Shakespeare’s death. It is also the only remaining Shakespeare play that Sir Trevor has not directed. This is not only a huge treat for regular Ipswich theatre-goers. The publicity surrounding the play will encourage people to visit the theatre who have never been, or not been in a long time. Those whose only acquaintance with Shakespeare is bad memories of being forced to study him at school will have their eyes opened. It will bring a significant boost to the local economy from visitors to Ipswich. Shops, restaurants and hotels will all benefit. That Sir Trevor wants to return to Ipswich for this theatrical milestone shows the affection he still has for his home town. It also shows the big returns that can be gained in the long term by an investment in arts and culture. This is something we recognise at the Borough Council. In these times where the Government is cutting more and more from local authority budgets, many councils are reducing, or even axing completely, their funding for the arts. We believe this to be a very shortsighted approach. To bring about growth we need to invest. Not only have we maintained our funding for arts organisations in Ipswich, we have managed to increase it. This approach is recognised nationally. We currently have six Arts Council National Portfolio Organisations in the town: the New Wolsey Theatre, Dance East, Eastern Angles, Pacitti Company, Gecko Theatre and Tilted Productions. These are organisations that the Arts Council recognises as performing nationally significant work. We have more NPOs in Ipswich than Cambridge and Norwich. Indeed we have more than the whole of Norfolk put together. Clearly this is excellent for the cultural life of the town and not bad for bragging rights. But it is also important because NPOs are the organisations that the Arts Council are more likely to fund. 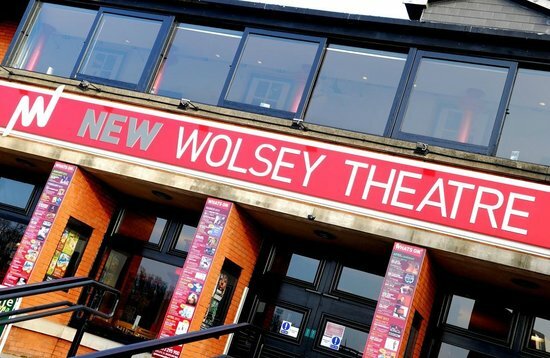 We saw this last week with the announcement that the New Wolsey and Dance East are to receive £750,000 from the Arts Council to improve their facilities so they can put on bigger and better events. Success breeds success and our investment is paying off.